Indie fans in both the U.S. and New Zealand were stunned to learn over the weekend that Kiwi legend Chris Knox suffered a stroke. The 57-year-old musician/songwriter/cartoonist is recovering at Auckland City Hospital. “We’d just like to say that Chris’ partner Barbara Ward and his children John and Leisha are grateful for the support and love they’ve received, and at the moment everyone’s focus is just on Chris and his recovery, and we just ask that people be respectful of that,” a spokesman for the family said in the Sunday Star Times. Knox’s late ’70s bands the Enemy and Toy Love were the pioneering artists of the New Zealand scene, which rose to prominence in the U.S. during the late ’80s via Flying Nun Records and such bands as the Chills, the Bats, the Clean and, of course, Tall Dwarfs, Knox’s lo-fi weird-pop duo with Alec Bathgate. Tall Dwarfs influenced everyone from Pavement, Portastatic and Olivia Tremor Control to Jay Reatard, Crystal Stilts and just about anybody playing post-punk music in New Zealand. Knox’s family and friends launched a website to keep fans informed. Chris Knox, influential Tall Dwarfs member and Enemy lead vocalist suffered a stroke last Thursday. All reports are positive that he is stable and recovering well. Undertheradar sends our best thoughts to Chris and his family. Along with his post, Reatard writes: If you haven’t heard Toy Love, Tall Dwarfs, The Enemy or his countless solo records please do yourself a favor and hunt them down. It might change your life…It did mine. Knox’s family has set up a blog to keep fans up-to-date on his recovery, head there now to leave your messages. The 56-year-old musician is currently in stable condition at an Auckland, New Zealand hospital and is doing well. As we previously reported, key Kiwi pop figure and Flying Nun Records spearhead Chris Knox suffered from a stroke on Thursday (June 11) and is currently recovering. 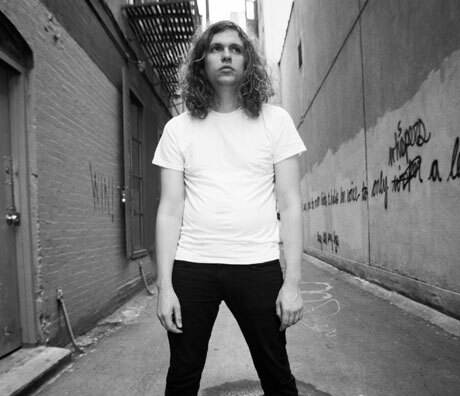 A huge Kiwi pop disciple himself, Memphis garage monster Jay Reatard has shared his thoughts on Knox on his blog, revealing that he had planned to record a single and tour with him in the near future. As the door to his house opened I was overcome with a nervous fan boy feeling I hadn’t felt since I was 16 or so. Our meeting was brief, only 3-4 hours, but in that time we made plans to tour together this upcoming year and made plans to record a single together as well. I found Chris to be so unjaded and so full of ideas and life. A few days back before our LA show I received a text from our NZ promoter letting me know Chris had suffered a stroke. I was pretty shook up but put everything I had into the show that I could muster up. I have had quite a few days to think to myself how lucky I was to meet Chris and how much hope he gave me for my own future as an artist. Here’s hoping for a speedy and successful recovery for Chris and his family! And if you haven’t heard Toy Love, Tall Dwarfs, The Enemy or his countless solo records please do yourself a favor and hunt them down. It might change your life… It did mine. Hunting down Knox’s music is actually a great idea right now, as Knox’s progress blog recently mentioned that “the best thing to do if you wanna help is to buy a Chris Knox & The Nothing album.” All of these CDs, which are available to ship worldwide, can be purchased here. Meanwhile, Reatard is in the middle of a previously announced North American tour. KENT BLECHYNDEN/Dominion PostICON: Kiwi music icon Chris Knox, pictured here singing in 2008. Kiwi musician Chris Knox is responsive and not in pain following last week’s stroke, friends and family say. In a statement yesterday, friend Roy Martyn said the Ward-Knox family remained “very optimistic” about the performer’s recovery. Knox is in Auckland Hospital. “He enjoyed his vegetable frittata this morning but I suffered the classic Knox withering look when I mentioned beer,” Martyn said. He said the family wanted to thank those who had sent messages of support from around the world. A website to keep the public updated on Knox’s progress is at chrisknox.blogtown.co.nz. Please take a moment to pray to every god, and then invent new ways to pray, because we don’t think a moment of silence is going to cut it. For the uninitiated among you, New Zealander Chris Knox is one of the finest songwriters alive. As a member of The Enemy, Toy Love, Tall Dwarfs, and most recently, The Nothing, Chris has been a musical giant among the Kiwis. Mr. Knox has also served as a film critic, newspaper columnist, cartoonist, television host, and head of his own record label, ‘A Major Records.’ His music releases have been a staple of New Zealand’s great ‘Flying Nun’ label since its inception. And last evening, he suffered a stroke. Chris is recovering at Auckland hospital. He is currently unable to speak and may have permanently lost his ability to walk, though the doctors have yet to give an official prognosis. You can find updates on Chris’ condition at the following blog created by his family members and friends. Do some good with the internet for once and leave an encouraging note for Chris. Chris Knox, a pioneer of the Dunedin Sound, is in hospital after a stroke, but the 57-year-old musician is already showing signs of his former self, friends say. News reports the musician might never walk again were premature and hurtful to his friends and family, who had gathered to support Mr Knox since he was admitted to Auckland Hospital on Thursday, family friend Roy Colbert, of Dunedin, said. Doctors were still waiting for the swelling to go down before they were able to offer a prognosis, he said. Mr Colbert had been in contact with former Dunedin-based musician Shayne Carter, who visited Mr Knox in hospital. Mr Colbert said the Invercargill-raised musician made a big impact on the Dunedin music scene with his punk band, the Enemy, in the late 1970s, which “began the Dunedin Sound and influenced the like of The Chills and The Clean”. 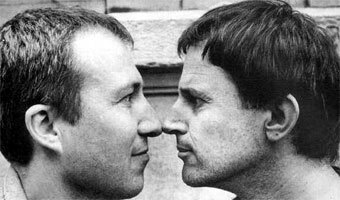 Mr Knox was also responsible for recording many of the early Flying Nun records and had a cult following in New Zealand and overseas for his recordings with Toy Love, Tall Dwarfs and, more recently, The Nothing. He is perhaps best known for the “low fi” love song, Not Given Lightly, which was dedicated to his partner, Barbara, and children John and Leisha Ward Knox. The Chills frontman Martin Phillipps, of Dunedin, said he visited Mr Knox while he was in Auckland to play a gig on Friday. Rock musician Chris Knox is smiling and recognising people after having a stroke, one of his former bandmates says. But Paul Kean, bass player for Knox’s ex-band Toy Love, said he understood the 57-year-old was still unable to talk after Thursday’s stroke and that doctors had taken action to try to relieve pressure on Knox’s skull. Knox had apparently been able to drink water and answer basic questions while being taken to hospital, Kean said. A cartoonist and author, Knox was in a stable condition in Auckland Hospital’s stroke unit yesterday. Earlier friends said doctors were anticipating that Knox would at best be in a wheelchair for the rest of his life. Kean said the whole New Zealand music scene was rallying around him. Knox’s partner, Barbara Ward, was too upset to comment yesterday. A family spokesman said Ms Ward (to whom Knox dedicated the hit Not Given Lightly) and children John and Leisha were grateful for the support and love they were getting. New Zealand rock musician Chris Knox is unable to talk after suffering a stoke on Thursday. Paul Kean, bass player for Knox’s ex-band Toy Love, said he understood the 57-year-old could still not speak and doctors had taken action to try to relieve pressure on Knox’s skull. He had apparently been able to drink water and answer basic questions while being taken to hospital, Kean told The Dominion Post. Earlier friends said doctors were anticipating Knox would, at best, be in a wheelchair for the rest of his life. A family spokesman said Knox’s partner, Barbara Ward, and children, John and Leisha, were grateful for the support and love they were getting. Knox’s recording career stretches back to late 70s punk era bands The Enemy and Toy Love, as well, as having a long association with independent music label Flying Nun as a solo artist and a member of duo the Tall Dwarfs. His best known songs include the hit Not Given Lightly. Knox is also an television arts show presenter, writer and cartoonist who has pennned the weekly Max Media strip in the New Zealand Herald’s entertainment pages for almost 20 years. 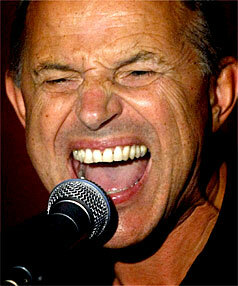 KENT BLECHYNDEN/Dominion Post ICON: Kiwi music icon Chris Knox, pictured here singing in 2008. Friends of Kiwi music icon Chris Knox say he is now unable to speak and may not walk again after suffering a stroke three days ago. A spokesperson for Knox’s family said the 57-year-old had a stroke on Thursday and was recovering at Auckland City Hospital. The spokesperson would not confirm any details about Knox’s condition. However, it is understood the medical prognosis was grim. Friends said Knox, who lives in Auckland’s Grey Lynn, had surgery on Friday night, and doctors were anticipating that he would at best be in a wheelchair for the rest of his life. He was also unable to speak, although stroke victims often regained their speech through therapy. Sunday Star-Times music writer Grant Smithies said that after three decades in the music scene, Knox was one of our finest songwriters and had tried everything from cartoons to film-making and animation, talking about music on Radio Live and reviewing movies for the 1990s’ Backch@t show. “He is a real pioneer of a lot of things in this country and deeply loved by a lot of people,” Smithies said. Those who followed Knox range from fans of his early underground punk sound to those who, lately, may have hummed along to his 1990 love song to Barbara, “Not Given Lightly” on Vogel’s television advertisements. Eight years ago that slow-burning song with the catchy chorus “Yeah, it’s you that I love and it’s true that I love” was deemed the 13th-best Kiwi song of all time. Another song, It’s Love, was recently picked up for a Heineken campaign. But Smithies said Knox’s latest album, A Warm Gun, was his best yet: a “trademark mix of tenderness and disgust”. “It’s the sound of somebody that is at the peak of his musical powers, still doing interesting things. It’s got his best singing on it for years. He sings one whole song in falsetto. That’s just marvellous. Ground-breaking Kiwi musician Chris Knox is in hospital after suffering a stroke this week. Family member Roy Martyn said Knox was admitted to Auckland Hospital on Thursday morning, and his family members are with him. He said Knox’s partner, Barbara Ward (to whom he dedicated the hit Not Given Lightly), and children John and Leisha Ward Knox were grateful for the support and love they had received, and were focusing on his recovery. 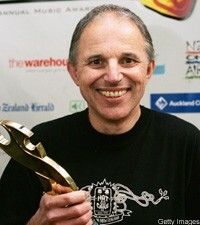 Knox is widely considered to be one of New Zealand’s greatest musicians, and is also a film reviewer, author and cartoonist. He helped found music label Flying Nun, which manages Kiwi acts such as The Chills and Phoenix Foundation. He and former musical collaborator Alec Bathgate were to have reformed The Tall Dwarfs to support international act MGMT next month. News of Knox’s stroke filtered through the Kiwi music community yesterday, with many voicing messages of a speedy recovery to Knox. Barnaby Weir of The Black Seeds said Knox was a “living legend” and an inspiration to all musicians. Pioneering New Zealand rock musician Chris Knox is in Auckland hospital after suffering a stroke on Thursday. Knox’s recording career stretches back to late 70s punk era bands The Enemy and Toy Love, as well as a long association with independent music label Flying Nun as a solo artist and a member of duo the Tall Dwarfs. Knox is also an television arts show presenter, writer and cartoonist who has pennned the weekly Max Media strip in the New Zealand Herald‘s entertainment pages for almost 20 years. A family spokesperson said Knox’s partner and children are focusing on his recovery. The pioneering New Zealand musician and critic, Chris Knox suffered a stroke on Thursday. Knox is currently surrounded by family and friends at Auckland Hospital’s stroke unit. The 56-year-old was admitted on Thursday. His wife and children have released a statement thanking people for their love and support. Knox started his career during the punk era with the bands The Enemy and Toy Love and has continued to have a successful recording career as a solo artist. Musician and RadioLive presenter, Graeme Hill has been friends with Chris Knox for 25 years and says his work has set the standard for music in New Zealand. Musician Chris Knox has suffered a stroke. The 56-year-old former Toy Love and Tall Dwarfs front man is comfortable and in a satisfactory condition in Auckland Hospital. Knox is best known for his hit song Not Given Lightly, and for being one of the founding members of Flying Nun Records.